Do you have car insurance or home insurance from AAMI or saw one of their television ads and wondering whether it’s worth getting life cover from them? In this article, we review whether AAMI's slogan ‘Lucky you're with AAMI' also holds true for their life insurance products. ComparingExpert does not currently have access to this provider. Visit www.aami.com.au to request a quote and compare their price and benefits online with some of Australia’s major life insurance companies. The Australian Associated Motor Insurers Limited (AAMI) is a general insurance provider, and Australia’s largest national car insurer, that also offers income protection and life cover products for direct purchase. They form part of the Suncorp Network, and Suncorp Life issues their life insurance policies. The insurer offers death and terminal illness cover, income protection or involutory unemployment cover, as well as accidental injuries insurance. Before choosing a policy, be sure to take your unique requirement and family situation into consideration and carefully review the AAMI PDS (product disclosure statement) before making a purchasing decision. Receive a lump sum payment when you pass away or are diagnosed with a terminal illness. Life cover is available to all Australian and New Zealand citizens between the ages of 18 and 60 (inclusive). Cover stops once you reach your 99th birthday. No medical tests are required. Generally, only the information provided on your application will be used to assess whether you’ll receive cover and under what conditions. Cover starts from $100,000 and goes up to $1 million. An advance of $10,000 is payable to your nominated beneficiaries, usually within 24 hours of receiving a valid death certificate and completed claim form. This advance from your death benefit can be used to help pay for your funeral expenses. However, payment of this benefit does not necessarily mean the remaining death benefit will be paid. If you're under the age of 60, you can increase your cover every year by $100,000 without providing any additional medical information when a significant life event occurs. For example, you've gotten married, become a parent, purchased a home, or your partner passed away. If you’re experiencing financial hardship and are unable to pay your premiums, you can contact AAMI Australia and request your premiums be suspended for up to 3 months over the life of your policy. During this period, you’ll only be covered for death due to an accident. This benefit is only available if your premiums are paid up to date, and you've been paying for 12 consecutive months. Your sum insured will automatically increase by up to 5% yearly, to help your insurance keep up with inflation. You can request that the insurer removes this benefit if you need help keeping your premiums affordable. You can keep your premiums at their current price, by requesting that your cover amount be reduced each year. People usually seek this benefit when going through financial difficulties. You can ask to end the premium freeze at any time. You will usually be reimbursed for up to $2,000 for financial planning advice received from a licensed financial planner within 12 months of an accepted claim. This benefit is only available if you’ve had your policy for 3 consecutive years. After your first 12 month’s premiums have been paid in full, you receive the 13th month free. No claim or premium refund will be payable if death is due to an intentional self-inflicted act or suicide within the first 13 months of your policy commencing. Income protection from AAMI provides 75% of your monthly income, up to $10,000 per month should you be unable to work because of a sickness or injury. No medical tests are required, but you must be working for at least 20 hours per week in your gainful occupation. This policy has a 30-day waiting period and a choice of benefit period; 1 or 2 years. Provides a monthly benefit of 75% of your regular income, up to $4,000 per month for up to 3 months if you’re involuntarily unemployed for a minimum of 30 days. You can add this optional benefit for an extra fee and be eligible for a claim 6 months after your policy commencement date. Should you be unable to work because of a disability or redundancy, the insurer will waive your income protection premiums while you remain on a claim. Occupations where working at heights above 15 meters. Occupations underground in the mining industry. High-risk hobbies and sports, for example, abseiling and motor racing. Pregnancy, miscarriage or childbirth, unless it results in disability. Mental disorders or mental illnesses. 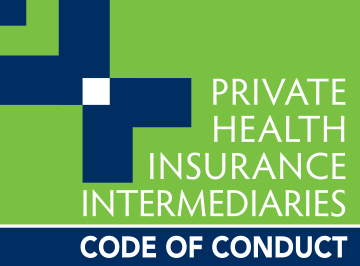 Read the AAMI income protection PDS for details on the cover provided and a full list of exclusions. Pays a lump sum benefit of up to $100,000 if you have an accident and suffer one of the injuries listed in your PDS. For example, loss of limbs or sight, fractures, dislocations, and burns. Available to Australians between the ages of 18 and 75 (inclusive) and ends on your 90th birthday. You have the choice between the Standard or Plus accidental injuries package. The main difference between the two packages is the amount of cover each one provides and their corresponding premium. Generally, the severity of your injury and the package you choose will influence the lump sum payout received. For example, for loss of sight, a Standard package will usually pay $50,000, while a Plus package pays $100,000. If you die because of an accident and your death was within 365 days of that accident, AAMI life will usually pay a lump sum benefit to your nominated beneficiaries; $15,000 on the Standard package and $30,000 on the Plus package. You or your nominated beneficiary can start the life insurance claims process by contacting the insurer as soon as possible. You will then be issued a claims pack to fill in and as soon as all claim forms have been completed, and additional information gathered, you can send it off to the insurer. Where can you get an AAMI insurance quote? You can get a quote by visiting www.aami.com.au/life-insurance, or you can call them directly on 13 22 44. What is the AAMI contact number? You can contact AAMI via phone on 13 22 44 or email them at [email protected]. Their life insurance customer service is available 24 hours a day, 7 days a week. If you need to post documents, you can send it to GPO Box 3950, Sydney, NSW, 2001.
Who underwrites Australian Associated Motor Insurers Limited? AAMI life insurance products are issued by Suncorp Life & Superannuation Limited ABN 87 073 979 530 AFSL 229880 (Suncorp). Life cover premiums are generally calculated based on your age, gender and smoking status. For example, a 35- year-old male that does not smoke can expect to pay $21.63 a month for $200,000 worth of life cover. If he did smoke, his premium might cost double, $41.21 (as at 2015). What discounts do AAMI offer? There are two types of discounts available; the large sum insured discount and family discount. The larger your sum insured, the higher your discount; up to 30% off for $500,000 or more cover. You’ll usually get a further 10% discount when an immediate family member also purchases a life insurance policy.